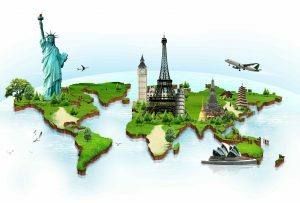 With the world economy recovering and the global job market expanding, you might be thinking about taking your own job search global. It’s a big leap, both for you and your family, and means changing your career path, reshuffling life plans, and relocating everyone. Glassdoor Jobs & Company trends is another great site where you can research hot trends by industry, and job title, and location. Vis-à-vis geographic research, make sure you find out which countries are experiencing growth and which ones aren’t. One place to look is the website of The International Monetary Fund (IMF), which is an organization of 189 countries working together to promote high employment as just one of its many priorities. The IMFDirect blog, for example, reports Latin America and the Caribbean in particular, facing a sharp increase in the unemployment rate. You can even browse for more articles and information alphabetically by country on this IMF page.